It’s time for another game day blog here at spalanz.com, and what else could I possibly feature during DC week than the DC Comics Deck-Building Game from Cryptozoic?! Today, I thought I’d take a look at the standalone expansion released back in 2014, the first in the Rivals subseries, showcasing Batman vs The Joker. It’s a rivalry that’s almost as old as comic book superherodom itself, after all, so probably the best way to kick off what seems to be a new set of small scale expansions to the DC line. 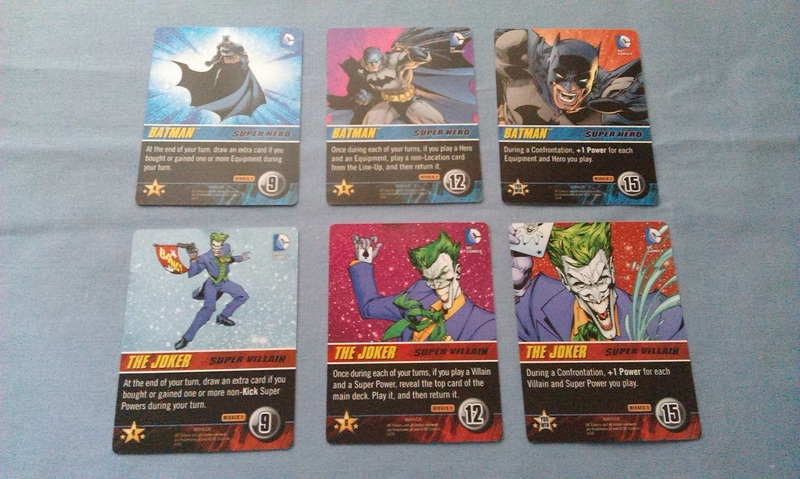 The game plays almost exactly like the main game and its tie-ins, with a new set of starter cards and main deck cards all centred around Batman and his arch-nemesis. These cards can be used within any of the main games, so you can either view this expansion as a nice source for new cards to shake up your games, or keep it separate as a stand-alone experience. What’s more, the main deck also comes with a number of super powers and equipment that are specific to the Joker, meaning you could slip these into Forever Evil and keep the theme alive there! Where this game is really different is the Confrontation step. Rather than starting the game with your oversized Super Hero card, which grants a static ability each round, each player has three oversized cards, for Batman and The Joker, respectively. If you have amassed enough power to do so, at the very start of your turn, you can announce a Confrontation against your opponent. This is basically you attacking your opponent as if they were the Super Villain, as each oversized card has a health value in the lower-right corner – 9, 12 or 15. Once you defeat your opponent, the topmost card is discarded, granting a different ability thereafter, until the third card is defeated, whereupon that player loses the game. It’s a really fun variant to the DC deck-building formula, and I love the fact that Cryptozoic are supporting the game like this rather than trying to somehow put together the pieces out of existing cards. That we also get new cards for the main deck is also very cool. 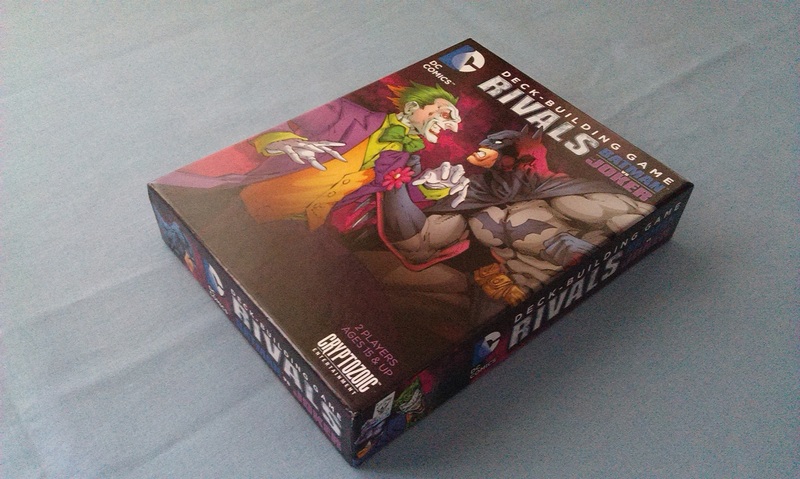 While there were initial plans for a Rivals 2 box to coincide with Batman vs Superman, that seems to have gone by the wayside, and we’re left without much news (as of the time of writing) about the future of Rivals. Will we ever get Superman vs Lex Luthor? Or Flash vs Zoom? Who knows. 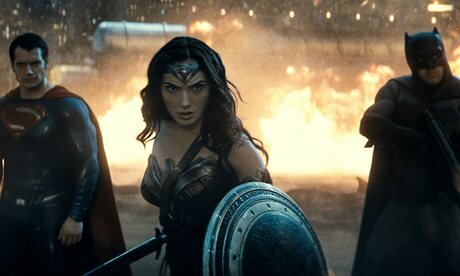 2016 seemed a bit sparse for the deck-building game, considering there were two huge movies for the DC extended universe, with more announced for the future. Maybe 2017 will see some more exciting developments to come! 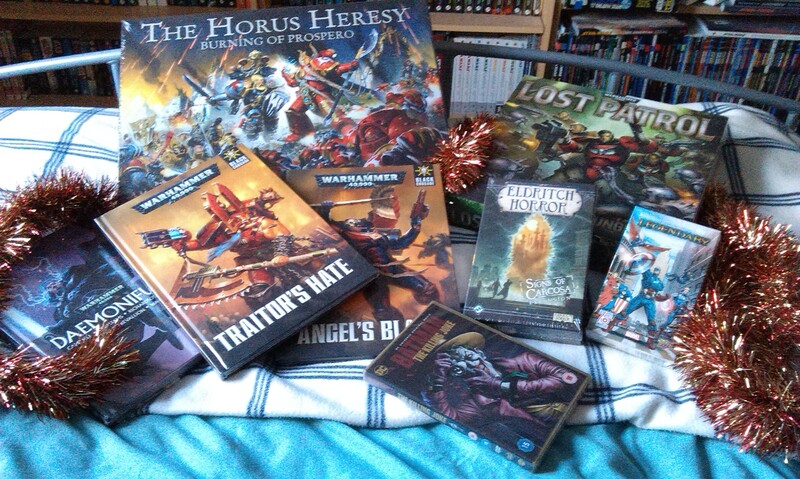 Author spalanzPosted on February 28, 2017 February 18, 2017 Categories board gamesTags Batman, Cryptozoic, DC Comics, DC deck building game, DC week, game dayLeave a comment on Rivals!